Productivity enhancement represents, indeed, an advantage both for the supplier and the client: on the one hand the supplier benefits from costs savings, while on the other hand the client can rely on a partner that offers quality performances in short times. Bruschi has always considered this subject a core aspect, as a matter of fact through the years Bruschi has taken several measures in order to achieve an ever-increasing process improvement. Process improvement can be developed through a well-defined action plan, which takes into consideration the complexity of elements that characterizes the production department. Production is indeed composed not only of machinery, but also of product design, technologies, operators and planning activities, to mention some of the most important components of this structured system. To improve the production process it is therefore crucial to have a comprehensive view of all these elements, in order to implement a strategy that is functional on multiple aspects. The introduction in a production system of automated machinery equipped with state-of-the-art technologies generates relevant benefits in terms of reduced lead time, costs reduction and achievement of quality standards requested by clients. The replacement of workforce with automated systems allows, indeed, to obtain a faster process, consequently enhancing the whole lead time. In addition to that, automation leads to a reduced likelihood of error compared to manual operations. This translates into a relevant production costs reduction, which is further increased thanks to energy and material saving that automation generates. The introduction of automated machinery in the production department produces another significant advantage that allows quality control improvement, too. As a matter of fact, operators that previously dealt with manual operations on the component thanks to automation can take responsibility for other activities with a higher added-value, such as quality control. A process improvement project of a specific component, for a client of the sector of small appliances, has obtained excellent results in terms of increased productivity and decrease of manual activities of operators. Process improvement project has been developed in order to solve a situation of misalignment between production capacity and client’s demand. Through the introduction of automated systems this gap has been narrowed, thus achieving an optimized cycle time. After several studies and researches it has been possible to apply some changes to the process, which have brought to significant benefits: an increase of 33% of production capacity and a decrease of -95% of manual activities made by operators. Simulation of the die casting process represents another essential element that impacts on process improvement: with simulation software engineers can indeed foresee material reactions inside the mold. This process is feasible thanks to a thermos-fluid dynamic analysis of the mold, known as CFD simulation (Computational Fluid Dynamics), which allows the engineer to detect potential defects, such as cold laps and hot spots, on the die cast. 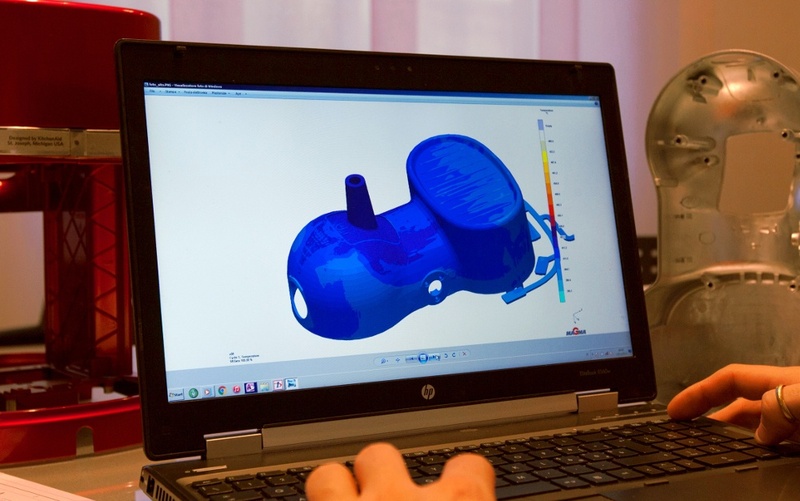 The simulation stage proves especially helpful to obtain an optimized mold design before starting with the production process. 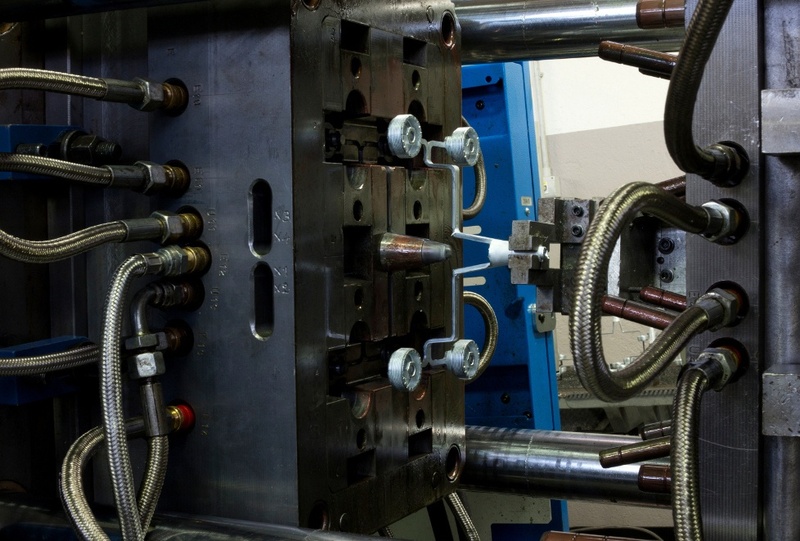 During this stage it is indeed possible to select the best mold design parameters to apply, so that potential defects on the piece are previously detected and, consequently, production costs and further mechanical operations are reduced. Scrap reduction can be achieved through an accurate planning of the whole production process of a component. First of all it is necessary to carry out a product and process analysis that focuses on the causes of scrap. To identify these causes engineers must use simulation software to foresee every stage of the production, from design to finishing operations. Once again simulation proves to be an indispensable tool for zinc die casting process improvement, because it allows engineers to avoid defects and to check technical properties before starting with the component production, thus producing a consistent costs and lead time reduction. Once scrap causes have been figured out it is possible to proceed to the outlining of potential solutions to apply, identifying the most relevant steps in the production process and constantly checking them. The expression cycle time defines the period of time required to produce a product. Cycle time represents a central variable in the production of a component because a reduced cycle time results in a reduced lead time, which is the period of time needed to accomplish a customer’s request in terms of supply. An optimized lead time generates an increase in the client’s satisfaction, because it allows the supplier to meet deadlines and standards demanded by the client. As a consequence, in order to guarantee a rapid and efficient service, cycle and lead time have to be enhanced to the maximum extent possible. Cycle time can be shortened paying attention to different aspects of the production process, especially to simulation stage and to technological systems of the production department. First of all, as already mentioned, it is important to simulate production and defining the best process parameters to apply for the production process. In this way potential defects will be avoided from the very beginning and, consequently, it will be possible to eliminate further mechanical operations. Another core element for cycle time shortening is the technological system of the foundry, whose technological innovation level can generate relevant time reduction during the production process. As a matter of fact, automated machines lead to optimized cycle times and to more accurate operations, discriminating factors for the achieving of performances requested by customers. Furthermore, periodical checks on machinery help understanding how cycle time can be further improved. Process improvement is a crucial element in the management of a business because it leads to production costs reduction and faster productive processes. With the aim of reaching these benefits it is therefore necessary to introduce automated technology and simulation software in the production process, and to optimize scrap reduction and cycle time. With the outlining of a precise process improvement plan lead time can be shortened and, as a result, client’s satisfaction will be increased. To get updates on trends and innovations in the Zinc Die Casting industry, you are welcome to subscribe to our blog.